When it comes to storage needs, the tanks that we manufacture are used in so many different ways that it can be hard to keep track. With so many differing needs and industries, and so many different liquids with various uses, there’s only one viable solution: Tuffa Tanks. 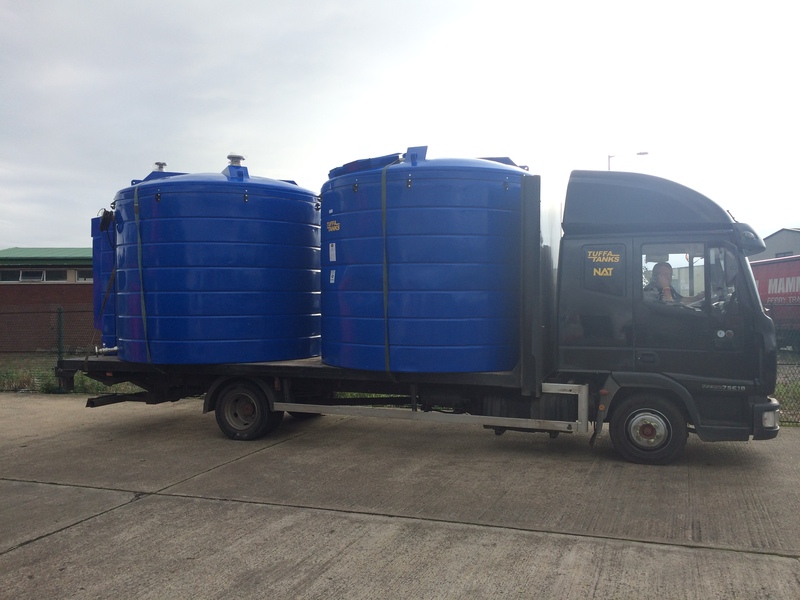 So, whether you require a tank for use in domestic, industrial and commercial settings, the types of storage tank we provide are ideal for all situations. We manufacture tanks for use with oil, water, chemicals and more, so there are plenty of options available. If you are looking to store oil, diesel or any other fuel, our range of oil tanks are available in both plastic or steel which means they are very strong and versatile, dependant on your needs. They are all made to an exceptionally high standard; using quality materials, and have the option of coming as a bunded tank, which is perfect for protection against accidents and leaks. When it comes to water storage, there are two main types of tanks available: potable and non-potable. Potable tanks store water that is safe for human consumption – such as at a large event or for use in farming. Non-potable tanks are used for all other purposes that require water; toilet systems, irrigation, on golf courses, car washes, cleaning and similar businesses, and much more besides. Correct storage of chemicals is imperative when it comes to environmental safety and security for those working in proximity to the substances. We manufacture AdblueTanks for use in the automotive industry and also for any other vehicles looking to reduce fuel emissions from diesel engines. Our other chemical tanks are ideal for use with pesticides, de-icer, preservatives and cleaning products en masse. As with all chemical storage, all storage tanks are produced in accordance to its compatibility with the chemical due to be stored within. Many other types of storage tank are needed in industry, commercially and on a domestic level. Storing dry food for livestock and pets, storing bedding, hay and other weather sensitive items is important in agriculture, too. In addition to this, we also make tanks for particular use with molasses. Should you require a specialist shed, locked key cupboard or even a dog kennel, then Tuffa Tanks has a solution for you. Choosing the right type of storage tank is essential to the smooth running of your business, to ensuring your home can be self-sufficient, and to safeguarding staff and public safety; as a matter of importance when it comes to chemicals. All this and more can be found in our range, here at Tuffa Tanks. Please do not hesitate to contact our team for information or for advice on the type of tank that will work for you.